DIS-SENSUS - 10-days Immersive Joint Intensive Summer Class by VestAndPage and Andrigo&Aliprandi, C32 performing arts work space, Forte Marghera, Mestre-Venice, Italy, June 5-14, 2019. As the start of a new series of live projects entitled BODY MATTERS, the VENICE INTERNATIONAL PERFORMANCE ART WEEK presented on Saturday, December 15, 2018, a 4-hours collective performance opera starting at the historic premises of the European Cultural Centre | Palazzo Mora. Anam Cara – Dwelling Body is a live collective performance opera envisioned and devised by the artist duos VestAndPage and Andrigo & Aliprandi, perused conceptually together with Francesco Kiais (GR/IT), in collaboration with Giorgia de Santi (IT), daz disley (UK), Marisa Garreffa (AU/IT), Fenia Kotsopoulou (GR), Pavlos Kountouriotis (GR), Enok Ripley (CA), Sara Simeoni (IT), Mauro & Matilde Sambo (IT), Marcel Sparmann (DE) and Susanne Weins (DE), with the artistic and organizational assistance of Sabrina Bellenzier (IT) and Gülbeden Kulbay (SW), and under the technical direction of Giovanni Dantomio - We Exhibit. With CO-CREATION LIVE FACTORY Prologue 1, the VENICE INTERNATIONAL PERFORMANCE ART WEEK headed into a new direction in 2017, following the closure of the Trilogy of the Body in 2016. Founded on the principles of artistic collaboration, cooperation and temporary artistic community, CO-CREATION LIVE FACTORY Prologue 1 is born to be an artistic experience of a different kind. The aim in 2017 was to empower 75 participating artists from 28 countries selected through an open call, to articulate and develop their individual praxis within an independent temporary autonomous zone of co-creation. In a residential setting and under the tuition of the artists Marilyn Arsem, VestAndPage and Andrigo & Aliprandi, and with morning lectures by Robin Deacon, Jill McDermid & Erik Hokanson, Preach R Sun, Marcel Sparmann, and Elisabetta di Mambro. The culmination of this 10 days co-creation process was open to the public on the days December 14-16, 2017: transforming the ART WEEK venue European Cultural Centre | Palazzo Mora into a dynamic performance site through a series of collective performance operas, as well as collaborative and solo performances. The project aimed to promote the practices of performance art on a local, national and international scale, with an exhibition and live program exclusively dedicated to them, and the related Learning Program presented in cooperation with international partner organizations. 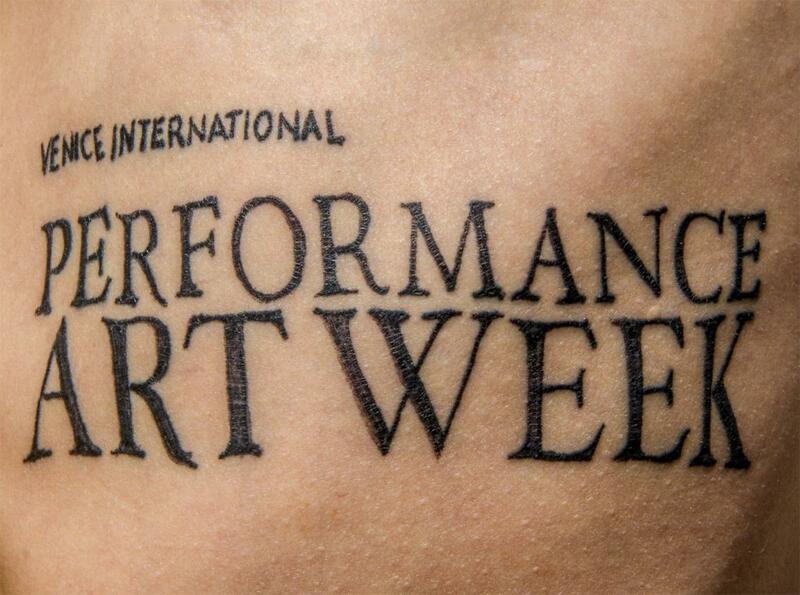 In respect of the ethical principle of trans-national cultural collaboration, since its first edition in 2012, the VENICE INTERNATIONAL PERFORMANCE ART WEEK has become a recognized platform where the propositive dialogue and the open confrontation among different cultures and artistic expressions could flourish. The core of its mission is, in fact, to strengthen the importance of the concepts of mobility, art nomadism and temporary community; to offer moments of fruitful encounters and exchange to lay the foundations for future professional opportunities for artists and cultural operators; and, finally, paying attention to the creation of a broader audience for performance art. Being a gathering reunion among artists and people "who looked for the pearls in the rivers of human civilizations to came to share what they found" (Lee Wen), the project works also as a think tank for outlining conceptual visions which de-clearly overcome imposed and external human conditioning, generating further propositive reflection on topics such as poetic and civil sovereignty, the whole and the ineffable, time, space and existence. 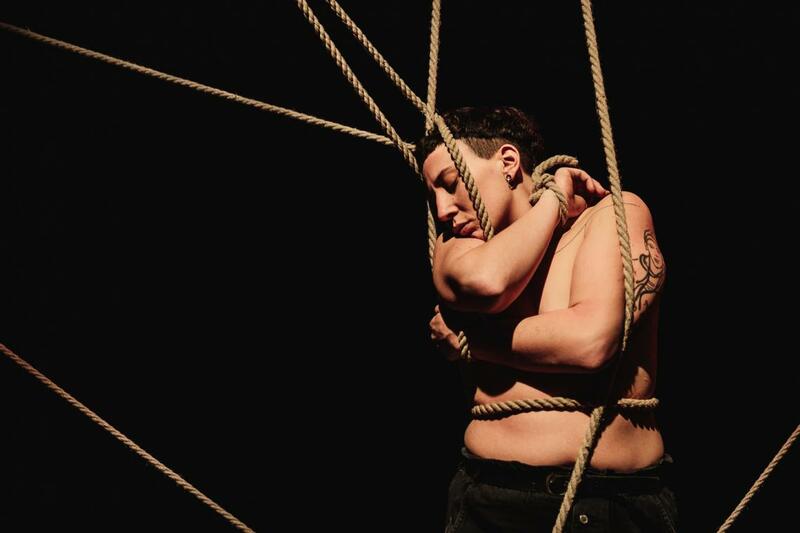 Each of the three editions of the Trilogy of the Body, consisted of a comprehensive exhibition showing historical performance art pioneers' works and documentation, alongside the presentation of live art performances by contemporary established and emerging international performance artists. The program was structured as such: daily morning talks by and encounters with the participating artists, associated curators and cultural operators open to public; series of long durational performances during the afternoons; and shorter performance slots in the evenings. The ART WEEK | FRINGE section is dedicated to upcoming and emerging artists, both local and international ones. 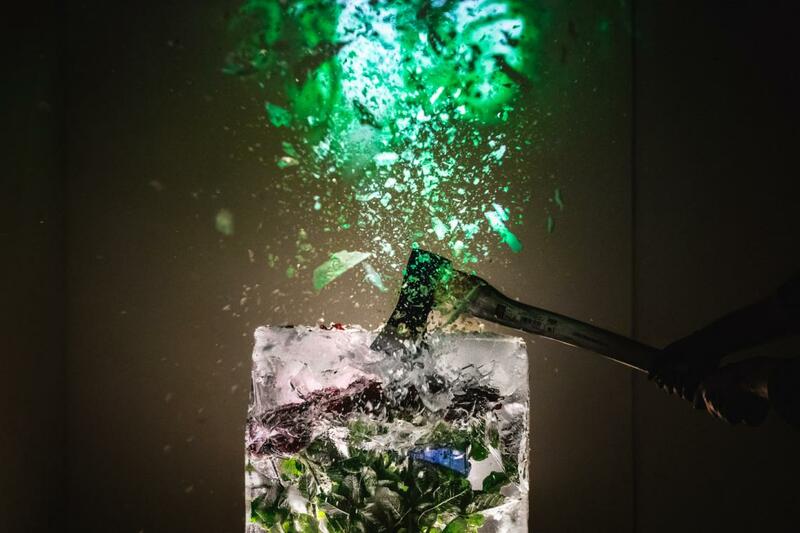 In such context, the urgency of exhibiting the works of pioneers of this art praxis, alongside the most avantgarde contemporary live proposals, reflect the curators VestAndPage's artistic research on the field and their choice to trace a continuity within this specific thus interdisciplinary art form from past to present. At the same time, the intent was to highlight previous valuable experiences, which grounded the art of performance in the course of art history and continue to maintain a strong sense of actuality, deserving to be remembered without declared appositive cultural intention. This is as well due for the necessity to pay tribute to art masterpieces as tools telling of social and individual awakening, which still resonate in the works of the new generations. For each year's edition, VENICE INTERNATIONAL PERFORMANCE ART WEEK and VestAndPage press publish limited edition post-event hard cover catalogues documenting the exhibition and live performances, with essays on performance art related issues by international scholars. EXHIBITION: Yoko Ono, VALIE EXPORT, Hermann Nitsch, Jan Fabre, Gabriela Alonso, Santiago Cao, David Dalla Venezia, Francesca Fini, Francesco Kiàis, Andrea Morucchio, Nelda Ramos, Shima, Manuel Vason, Marcus Vinicius, VestAndPage LIVE PROGRAM & EXHIBITION: Alperoa, BBB Johannes Deimling, Helena Goldwater, Snežana Golubović, Jason Lim, Rubiane Maia, Wanda Moretti | Il Posto, Boris Nieslony, Jill Orr, Macarena Perich Rosas, Gonzalo Rabanal, Joseph Ravens, Prem Sarjo, Ilija Šoškić, Suka Off, Weeks & Whitford, Lee Wen, Zierle & Carter. ART WEEK Fringe: Amadeo Abello, Alessandra Bucchi, Samanta Cinquini & Luca Nava, Marita Fox, Micaela Leonardi, Dominique Ploner, Ralf Peters, Marcel Sparmann, Marina Widen. ACCADEMIA DI BELLE ARTI DI VENEZIA: Guiseppe Abate, Giada Giudetti & Silvia Bonazzi, Marta del Fabbro, Giulia de Giovanelli, Gianluca Giuso & Elisa Sartori, Andrea Grotto, Christiano Menchini, Anita Ferro Milone, Agnes Pesec, Francesca Piovesan, Alice Pozzoli. EXHIBITION: Vito Acconci, Elias Adasme, Alain Arias-Misson, Richard Ashrowan, Jelili Atiku, Adina Bar-On, Artur Barrio, Joseph Beuys, Waldo Bien, Paulo Bruscky, Chris Burden, Angel Delgado, El Siluetazo, Terry Fox, Guillermo Giampietro, Allen Ginsberg, Tehching Hsieh, Zhang Huan, Waldemar Januszczak, Norbert Klassen, Sigalit Landau, Legend Lin Dance Theatre, Juan Loyola, Gastao de Magalhaes, Âhasiw Maskêgon-Iskwêw, Boris Nieslony & Gerhard Dirmoser, Omen Teatar, Clemente Padin, Gina Pane, Leticia Parente, Bob Raymond, Pedro Reyes, Rong Rong, Inder Salim, Rosemberg Sandoval, Carolee Schneemann, Gerry Schum, Adrian Stimson, Ulay, VestAndPage, Paul Wong. LIVE PROGRAM: Andrigo & Aliprandi, Marilyn Arsem, Bean, Tania Bruguera, Barbara Campbell, Shannon Cochrane, Norma Flores, Regina José Galindo, Melissa García Aguirre, Arti Grabowski, Andrea Hackl, Enrique Ježik(, Sandra Johnston, Zai Kuning, La Pocha Nostra, Alastair MacLennan, Jill McDermid, Sarah-Jane Norman, Vela Phelan, Martin Renteria, Olivier de Sagazan, Benjamin Sebastian, Gianni Emilio Simonetti, Terry Smith, Alice Vogler, Julie Vulcan, Wen Yau. ART WEEK Fringe: Eames Armstrong, Ivana Filip, Erik Hokanson, Gabriele Longega, Roberta Orlando, Lissi Sanchez, Stefania Soskic, Olmo Stuppia. ARTISTS OF HONOUR (LIVE | EXHIBITION | PRESENTATION): Marcel·lí Antúnez Roca, Marilyn Arsem, Giovanni Fontana, Franko B, Antonio Manuel, ORLAN, Stelarc. EXHIBITION: Marina Abramović, Dimitris Alithinos, John Baldessari, Lisa Bufano, John Cage & Klaus vom Bruch, Sophie Calle, Cassils, Panos Charalambou, Thanassis Chondros/Alexandra Katsiani, Coco Fusco & Guillermo Gómez-Peña / Paula Heredia, Ria Hartley, Mona Hatoum, Irwin, Maria Karavela, Maria Klonaris & Katerina Thomadaki, Arrigo Lora Totino, Tran Luong, Ato Malinda, Paul McCarthy, Ana Mendieta, Linda Montano, Charlotte Moorman & Nam June Paik, Andrea Morucchio, Otto Mühl & Hermann Nitsch, Bruce Nauman, OHO Group, Yoko Ono, Leda Papaconstantìnou, Mike Parr, Douglas Quin + Lorne Covington, Pipilotti Rist, Lerato Shadi, Demetrio Stratos, Matej Stupica & Lenka Đorojević, Theodoros,sculptor, VestAndPage, Bill Viola, Andy Warhol & Jørgen Leth, Lawrence Weiner, Jud Yalkut, Mary Zygouri ART WEEK Fringe: Aisha Ryannon Pagnes, Matilde Sambo & Furio Ganz, Wiktoria Wojciechowska. LIVE PROGRAM: Janusz Bałdyga, Evangelia Basdekis, Nathalie Mba Bikoro, Samanta Cinquini & Luca Nava, Helen Cole, Alexander Del Re, Jeannette Ehlers, Nicola Fornoni, Christina Georgiou, Gim Gwang Cheol, gyrl grip, Jeff Huckleberry, Casey Jenkins, Anna Kosarewska, KörperSchafftKlang, Kyrahm + Julius Kaiser, Sara Kostić, jamie lewis hadley, Andrea Marcaccio, Noé Martínez & María Sosa, James McAllister, Johann Merrich, Mladen Miljanović, Martin O'Brien, Fyodor Pavlov-Andreevich, Alexandros Plomaritis, Alicia Radage, Preach R Sun, Ivana Ranisavljević, Mauro Sambo, Marcel Sparmann, Suka Off, Susanne Weins & Sašo Vollmaier ART WEEK Fringe: Ronald Bal, Giovanni Barbera, Jin Bells, Bianca Bonaldi, Bruno Camargo, Giorgia De Santi, Giovanna Fattoretto, Gabiele Longega, Giulia Mattera, Valeria Munoz, Rudi Salpietra, Cristiana Zeta Rolla, Jasmin Schaitl, Stefania Soskic, Erica Storer de Araujo, Keike Twisselmann, Cristiano Vignotto. As part of the EDUCATIONAL LEARNING PROGRAM of the VENICE INTERNATIONAL PERFORMANCE ART WEEK we offer Summer Classes, Talks&Roundtables, Studies, Publications, the Free Research Base and have presented the Study Room.